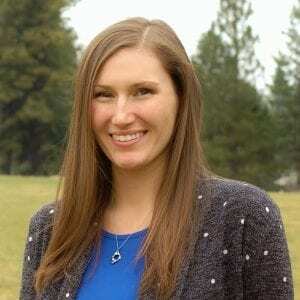 Dr. Rebecca Ellis is a dedicated and enthusiastic chiropractor at Clear Chiropractic. Before the team in Spokane, Dr. Ellis earned her bachelor degree from Pacific Lutheran University and a doctorate of chiropractic from Life Chiropractic College West. Dr. Ellis is passionate about helping people to reach their health goals and empowering them to live their lives to their highest potential. Dr. Ellis is an avid animal lover and enjoys spending time in the outdoors. In her spare time, you can find her walking Tinkerbell, her kitten or tending to her carnivorous plant collection. Growing up in Anchorage, Alaska, Dr. Ellis enjoys the hot Spokane summers at the lake and mild winters shoveling snow and making snow sculptures.